Carmel-by-the-Sea, often simply called Carmel, is a city in Monterey County, California, United States, founded in 1902 and incorporated on October 31, 1916. 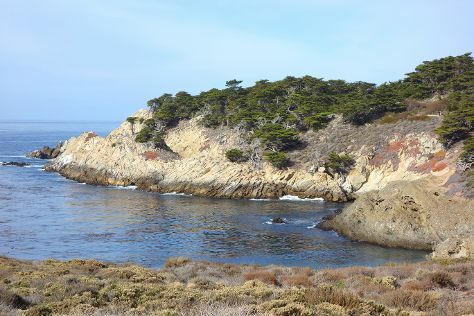 On the 27th (Thu), cruise along Seventeen Mile Drive and then kick back and relax at Point Lobos State Reserve. Get ready for a full day of sightseeing on the next day: meet the residents at Monterey Bay Aquarium and then explore the activities along Monterey Bay. To find more things to do, reviews, and more tourist information, use the Carmel itinerary maker. Cambria to Carmel is an approximately 2.5-hour car ride. You can also do a combination of bus and train. 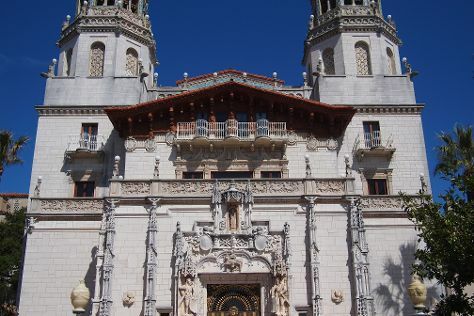 When traveling from Cambria in July, plan for somewhat warmer days and about the same nights in Carmel: temperatures range from 23°C by day to 15°C at night. Wrap up your sightseeing on the 28th (Fri) early enough to drive to Cambria. Cambria is a seaside village in San Luis Obispo County, California, United States midway between San Francisco and Los Angeles along California State Route 1 (Highway 1). Change things up with these side-trips from Cambria: Morro Rock (in Morro Bay), Big Sur (Pfeiffer State Beach, Julia Pfeiffer Burns State Park, & more) and Jack Creek Cellars (in Templeton). The adventure continues: identify plant and animal life at Elephant Seal Rookery, take in the waterfront at Pismo Pier, enjoy the sand and surf at Moonstone Beach, and trek along Fiscalini Ranch Preserve. For photos, reviews, more things to do, and other tourist information, use the Cambria holiday planner. Getting from Carmel to Cambria by car takes about 2.5 hours. Other options: do a combination of bus and train. When traveling from Carmel in July, plan for a bit cooler days in Cambria, with highs around 17°C, while nights are about the same with lows around 13°C. Wrap up your sightseeing on the 3rd (Thu) to allow time to travel back home.